The US blood supply typically lasts 2½ days, on average, requiring constant donations. Brigham and Women’s Hospital and the Dana-Farber Cancer Institute have an immediate need for type O-negative blood, officials at the Brigham say. A national shortage of that type of blood followed the polar blast that hit the Midwest in late January, said Richard Kaufman, medical director of the Brigham and Women’s Hospital Adult Transfusion Service. “During that time, there was a sharp decline in blood donations,” Kaufman said. The Midwest is a net exporter of blood, while the region that includes Massachusetts is a net importer, Kaufman said — which is why the weather in the Midwest has affected the blood supply in the New England state. Temperatures and windchills during the arctic blast reached minus 50 or lower in some areas, which resulted in fewer people going out to donate blood, he said. “The disruption of transportation and people not going outside definitely had an effect,” Kaufman said. The United States keeps a supply of blood that, on average, lasts 2½ days, requiring constant donations, he said. Blood shortages aren’t uncommon, he noted. They happen periodically, especially during times like the Christmas season and the summer, when people go away on vacations, but the shortages last only briefly. 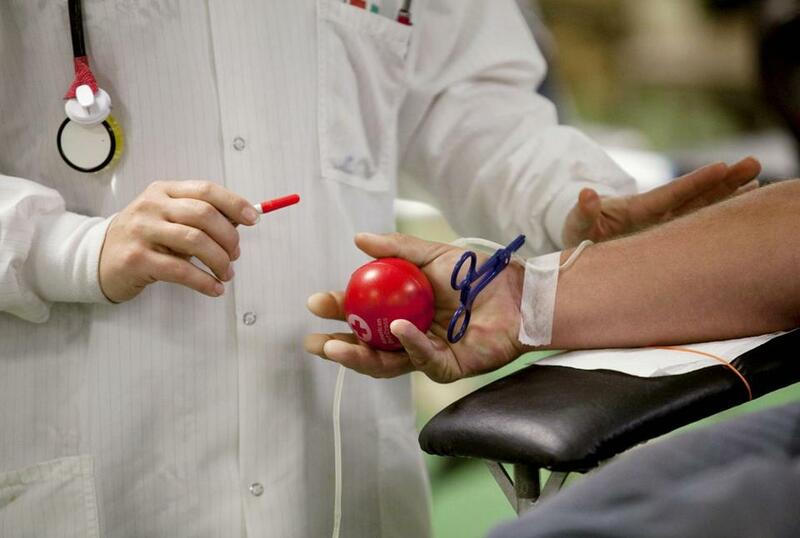 Just 6 percent of people in the United States have O-negative blood, Kaufman said. Brigham and Women’s collects some O-negative from donors, but the Boston hospital relies heavily on other blood collectors, which are currently suffering from the shortage, Kaufman said. “It’s really everybody — every transfusion center — is being affected by this,” he said. To make an appointment to donate: Send an e-mail to blooddonor@partners.org with days you prefer to donate and your phone number.